Room was very clean but they don't have the free breakfast or the shuttle anymore. Where to find High Prairie hotels near an airport? 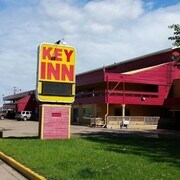 Where can I find hotels in High Prairie that are near tourist attractions? Visitors to High Prairie should consider booking a place to stay sooner rather than later, as they won't find a wide range of lodging options near the city heart. 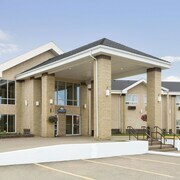 One of only a handful of High Prairie hotels within walking distance to the center of High Prairie, is the Days Inn High Prairie. 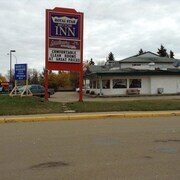 1 kilometre (1 mile) from the middle of High Prairie, is the Days Inn High Prairie. During your time in Northern Alberta visit the Valleyview Municipal Library and stay the night in Valleyview, which is 65 kilometres (40 miles) to the southwest of the middle of High Prairie. Choices include the Horizon Inn and Horizon Inn 2. If you have time before you say adios to Northern Alberta, visit Polar Palace Hockey Arena. 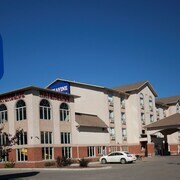 You could book a room at the Paradise Inn & Suites Valleyview. For those travelers planning on arriving or departing through Grande Prairie Airport, you may find it convenient to book a bed at Paradise Inn & Conference Centre, or Stanford Hotels and Resort, which are both close by. Are there hotels in other cities near High Prairie? What other types of accommodations are available in High Prairie? Explore High Prairie with Expedia.ca’s Travel Guides to find the best flights, cars, holiday packages and more!